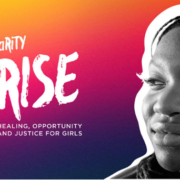 https://www.grantmakersforgirlsofcolor.org/wp-content/uploads/2019/03/oprahforbes.png 342 480 Grantmakers for Girls of Color http://www.grantmakersforgirlsofcolor.org/wp-content/uploads/2016/02/GrantmakersForGirlsOfColor_logoPlaceholder_v2-300px-300x59.png Grantmakers for Girls of Color2019-03-20 07:37:272019-03-21 07:41:57Do Women Of Color Philanthropists Give Differently From Their White Counterparts? International Women’s Day gives us an opportune moment to pause and recognize the achievements of girls and women across the globe. 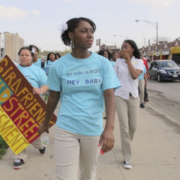 In philanthropy, we must celebrate the fact that women of color are an ever-growing force to be reckoned with — representing nearly one fifth of the philanthropic work force. This is a moment to pause and reflect on all we must still achieve to create a world where every girl and every woman is able to realize her potential and tap into her innate powers. We also believe it is a perfect time for all of us in philanthropy to deepen our accountability to the people we seek to serve in the name of equity and justice. Since its inception in 2014, the With and For Girls Collective; a group of funders who want to see a world where girls are heard, respected, able to access services and are included in decision-making processes that affect them; has had the incredible privilege to support, work alongside, and learn from girls and their organisations, through their unrelenting work to serve their communities and have their voices heard. They continue to show us every day why it is so important for philanthropic funding to support girl-led groups. Despite the critical role that women and girls play in sustainable development, the World Bank estimates that less than 2 cents of every $1 spent on international aid is directed towards adolescent girls. As a Collective, we believe funders can, and must, play a leadership role in addressing the lack of resources available to grassroots girl-centred and girl-led organisations who we know are still under-recognised, under-represented and under-funded. To further our learning as a Collective we embarked on an independent evaluation to improve, not only our own processes, but also to encourage other donors to take similar steps in centering powerful girl-led groups and understand why grassroots girl-led and girl-centred organisations need to be supported by flexible funding to propel transformational change towards a more equitable world. Involving girls, in decision-making is at the core of the Collective’s philosophy, and such we ensured that girls’ voices were a fundamental part of this process. Twelve girls from Kenya and Nepal, from previous winning organisations, participated in the research by interviewing the past award winners, and providing us with valuable insights on how the Collective can continue to improve itself while keeping grassroots groups’ and girls’ voices at the fore. We work directly with grassroots, girl-led and girl-centred organisations with annual incomes between $20,000 and $500,000. The With and For Girls Awards identify strong organisations with girls at their centre and provides them with flexible funding, profile raising opportunities and training. 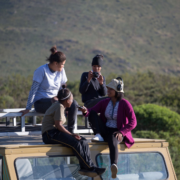 The research confirms the Collective has made significant strides to achieve increased recognition and resources available to strong girl-led and girl-centered organisations through involving and amplifying the voices and perspectives of girls. More time considerations be given to the complexities of working collaboratively, as this takes more time and planning than working alone. As a Collective, build and generate knowledge and evidence on the resource needs of girls, and on the available financing for girl-led groups as well as other information linked to the work of girl-led organisations. Building on our Strategic Partners Mama Cash and FRIDA’s report ‘Girls To the Front’, this research highlights the value and insistence of the Collective in the participation and agency of girls throughout the process where a group of adolescent girls provide meaningful input throughout the selection process. Girls from our network have final decision-making power on which organisations receive funding, which demonstrates our belief that they are best placed to understand which organisations best support the advancement of girls in the face of extremely challenging circumstances and pervasive discrimination. By elevating these organisations in spaces of influence, the With and For Girls Collective aims that donors will recognise the critical insight of grassroots development initiatives that prioritise girls’ participation, and that more donors might join forces to support similar efforts in ways that unlock the power and potential of local organisations and the girls they work with. From the research recommendations the Collective should consider increasing the participation of award winners and girl panellists, including creating a girl-led advisory panel to increase girls’ participation in governance of the Collective. The research highlighted the increased recognition and resources available through the award package and the efforts of the Collective to ensure girls and representatives of Winners spoke at key sector events and accessed additional funds, ensuring increased visibility and collaboration. working solidly as a learning Collective. 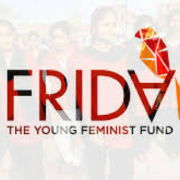 It is through cultivating a network of inspiring funders with the same unifying ethos and drive that the Collective has been able to be effective in responding to adolescent girls needs. Through building the capacity of funders to give flexible, unrestricted funding in all regions of the world, we look forward to a future where girls live and thrive in enabling environments where they are heard, respected and see equality and justice in their communities. 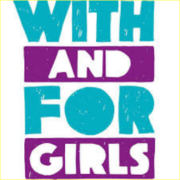 With and For Girls has found a new home and now sits within Purposeful, you can read more about these organisational changes here. 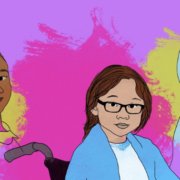 We need you to opt-in to our newsletter to continue receiving news from With and For Girls, including when we launch our 2019 awards, news from award winners, opportunities for learning and funding and sector-specific news. 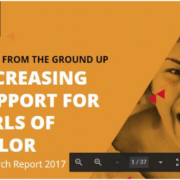 This is a webinar focused around the breakthrough research we undertook with partners Frontline Solutions and CLASP to better understand the landscape of philanthropy’s current investment in girls of color and steps we may take in substantially increasing this investment. We encourage you to stay in touch with G4GC’s upcoming developments for 2019 by signing up for our newsletter. 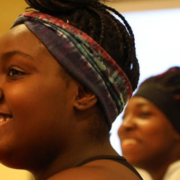 The Blueprint represents the collective voice of more than 250 young women, policymakers, philanthropists, scholars, service providers, and government officials. 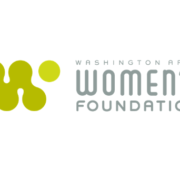 It provides guidance for policymakers, government entities, community based organizations, school districts, and funders on how to address challenges identified by young women of color living in the District of Columbia. Read more at Public Source. competitive resources.We remain an untamed, untouched and unafraid beauty that blossoms in a seemingly dark place. Young feminist organizing is blooming all over the world—we exist everywhere, we are no longer inconsequential and we refuse to be infantilised. Our identity lies in the way we adapt to changing contexts, continue to branch out and emerge stronger and more resilient, piercing as the sun and organic as the flower.